In the ever-changing business world, those who can adapt are the ones who thrive. 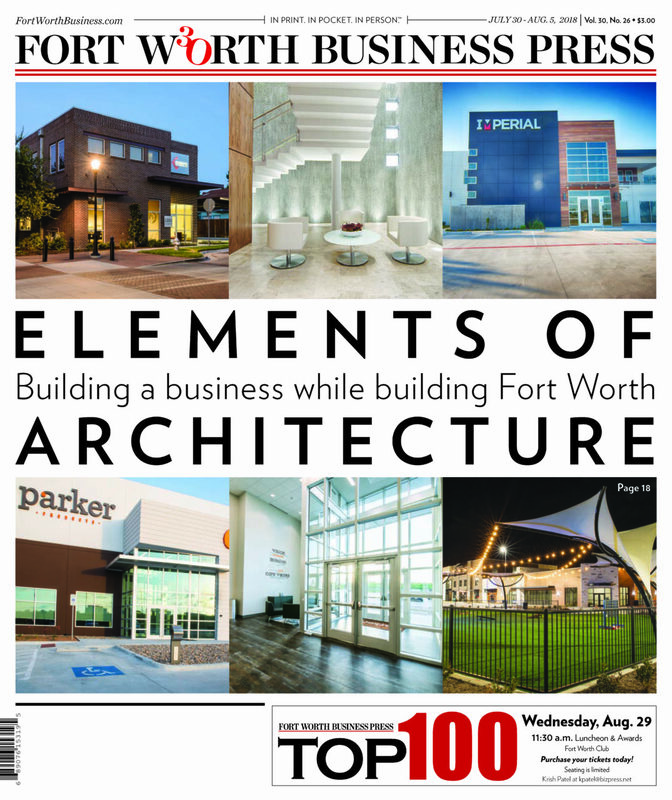 Just ask Debbie Fulwiler, owner of Elements of Architecture. Fulwiler started Elements of Architecture in 1996 as a firm specializing in telecommunication facilities. When the tech wreck of 2000 hit and work on these facilities dried up, Elements expanded into other property types, and it now serves a wide range of commercial and institutional clients. Among those clients is the City of Fort Worth. Her firm has been chosen as the architect for the $1.5 million renovation work on Pioneer Tower at the Will Rogers Memorial Center. “We are very honored to have been selected for this project. The Will Rogers Center is a national landmark and reflects the enduring frontier spirit of the City of Fort Worth,” Fulwiler said. “Anytime we can provide new life and prominence to historic icons, as architects we are truly preserving history and culture. Noted Fort Worth architect Wyatt C. Hedrick designed the 208-foot-tall Pioneer Tower and adjacent buildings for the Texas Centennial celebration in 1936. The tower stands as the centerpiece of the Will Rogers Memorial Center and of the Fort Worth Cultural District. Fulwiler describes Elements as a company that creates environments that shape the human experience. Fulwiler is herself a registered architect in several states, one of four registered professionals in the firm. Her experience encompasses all facets of architecture, project management and program management, including programming, site planning, zoning and code research, design, construction document preparation and construction administration. She moved to the Mid-Cities area from Florida in 1976 and attended Trinity High School. She graduated from Texas A&M University in 1986 with a bachelor’s degree in environmental design and architecture. After graduating, Fulwiler worked in Florida for two years until the Texas economy recovered, and she has worked in the field of architecture in Fort Worth since 1990. Her husband, Jerry, is a licensed real estate broker with over 25 years of experience. He joined Elements of Architecture in May to oversee business development. *Stand by actions — Keep promises and be responsible for actions. *Create something great — Apply knowledge and innovation to the creative process in the design of beautifully effective buildings for people. *Do the right thing — Approach work with honesty, fairness, trust and pride. *Pay fanatical attention to detail — Pursue knowledge, improvement and excellence in every aspect of the practice to create built environments of the highest quality. *Be the go-to resource — Put the needs of others first. Be advocates for the unrepresented, careful stewards of resources, and dedicated supporters of the community. · Various work at the University of North Texas, including renovation of the coliseum, aka the Super Pit. · Fort Worth Convention Center renovations. · Wilks Brothers at the Willow Park Center. · Taylor Farms Administration and Food Processing Center, Dallas. · Don Misenhimer Park in Arlington. · Will Rogers Memorial Center and Cowtown Coliseum renovations. · Fort Worth Independent School District. · Forest Park pools, Fort Worth. · Farbest Foods, Huntingburg, Indiana. Fulwiler said one of the most notable projects for her company is the arena work at UNT. Fulwiler said the most important part of the work her company does is making a lasting impact on the community. She said the eight-person firm has always had a team philosophy, not only within the business but also within the community. Employees regularly participate with the Ronald McDonald House, providing breakfast for the children and their parents. She is also a court-appointed special advocate for the Tarrant County CASA organization. “As architects, we do have a responsibility for improving the well-being of communities, and I feel that we should always work toward that goal by giving back to those less fortunate than ourselves and hopefully having an impact on others outside of the spaces that we create,” Fulwiler said. As for the future of Elements?